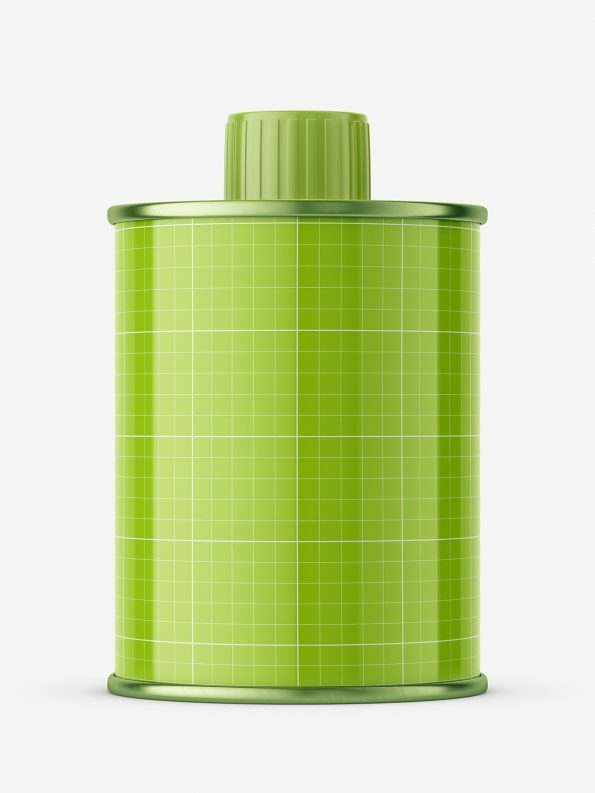 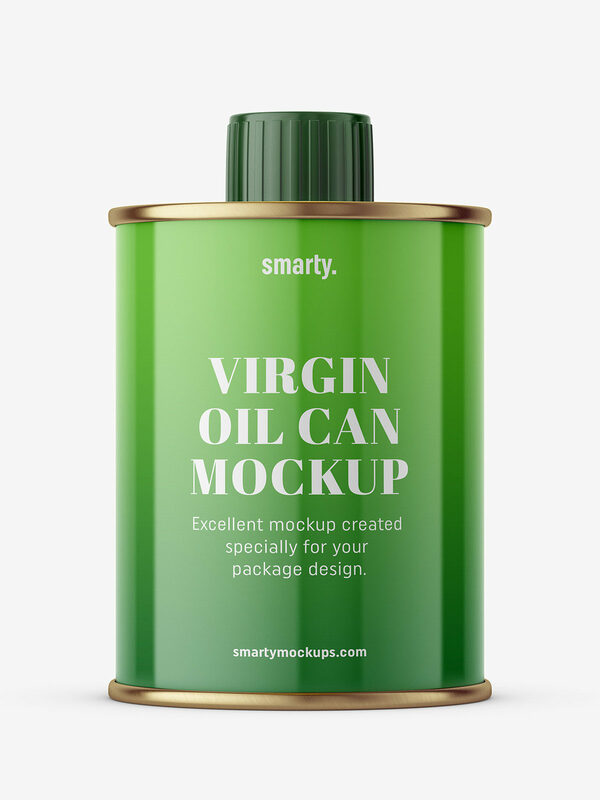 Virgin oil can mockup prepared with ability to paste your own project and set cap color. 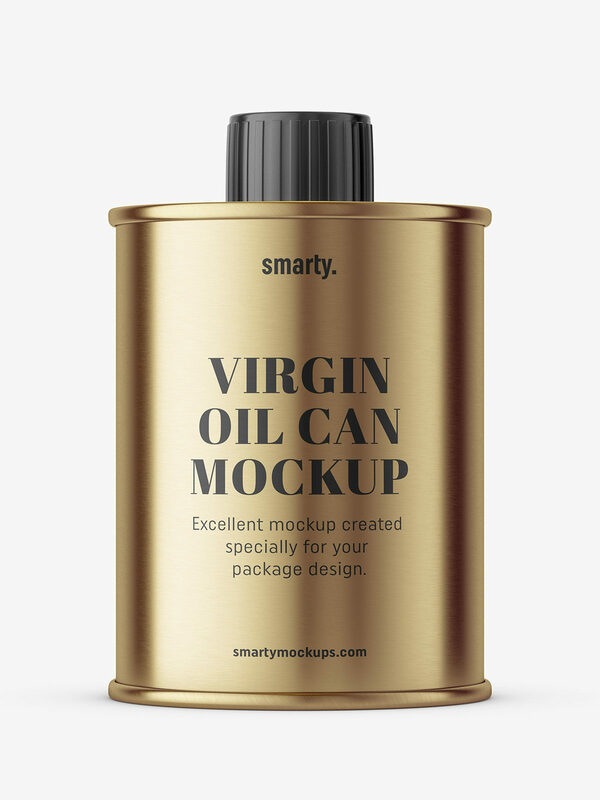 You can choose between print on metal and on white glossy material. 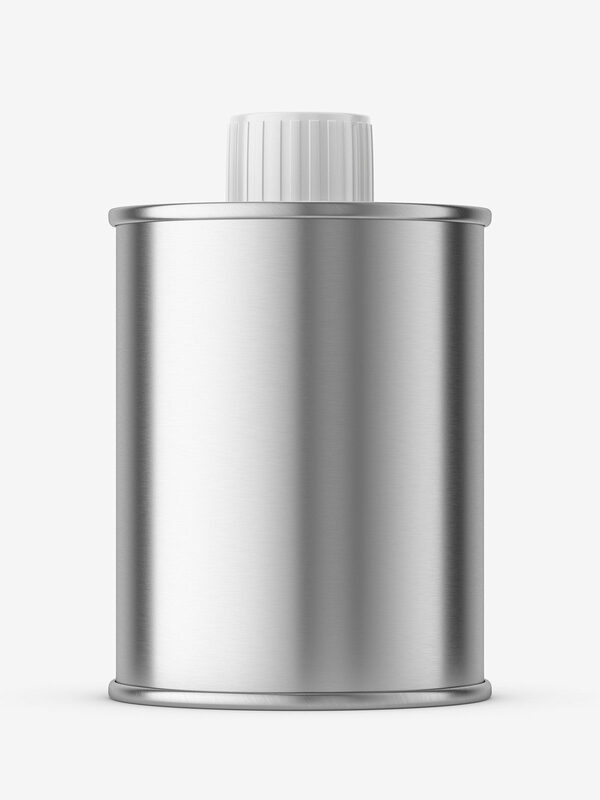 Color of the metal can be changed.